This piece first appeared in Truthout. Read the original there. Today, there is as much to assist as there is to resist. Creation counters destruction. In this turbulent political climate, the dismantling of our democracy must be countered with the construction of a society that reflects our values and imagines the future that we want, not the one we’re being handed. And there are so many of us who are doing just that. For decades, our caregiving systems have not served the needs of working families. There are over 100 million Americans who are directly affected by the need for better family care. Family caregivers alone number 44 million in the United States, from all walks of life, income levels, educational backgrounds and ages. 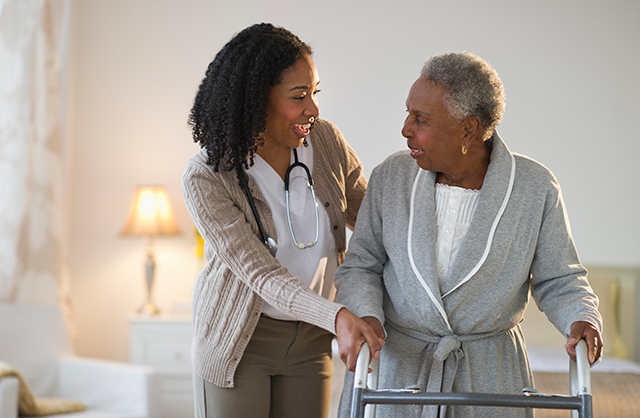 The caregiving workforce is around 3 million people, mostly women making poverty wages. In 2015, there were 19 million people under the age of 65 and 14 million over 65 who needed this kind of care. Then you have caregivers in assisted living facilities, family members coordinating care from afar or helping to pay for a loved one’s care. Add up all these numbers, and almost one out of every three Americans is in this Caring Majority. Home Care for All is an example of how voters are taking the future into their own hands at the state level this year. On January 26, 2018, retirees, veterans, family caregivers and home care workers gathered in Augusta, Maine, to announce the submission of more than 67,000 signatures to Maine’s Secretary of State to place this citizens’ initiative on the November ballot. They are showing us that this year in US politics can be what we make it. They’re expanding what’s possible not only for Mainers, but for all of us. Which state is next? The stakes are high in the midterm election year. But beyond its election outcomes, this is a year in which to model our political aspirations for the future. What are the policy solutions that embody the systems and frameworks that will create equity and opportunity in the future? Who are the candidates that embody the values of a healthy, multiracial democracy for the 21st century? Who or what are we waiting for? The solutions and the leaders we need are already among us.